Alleppey Tour Guide- Alappuzha, the Venice of the east. Alleppey or Alappuzha is built in the 9th century A.D. 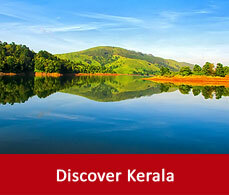 It is situated on the bank of the Ashtamudi lake. Alleppey has been christened with the name the Venice of the east by its travellers. With the pacific view of the Arabian sea on the west, lakes and serene streams criss-crossing each other and the famous backwaters bathing the city with its beauty is among the major sightseeings in Kerala. 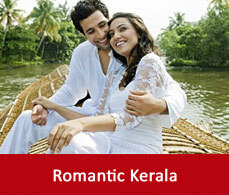 The famous coir industry attracts the shopaholics and booms the Alleppey tourism more. It is also a good hot spot of maritime products and makes one of the best shopping destinations.This piece of land surrounded by the Alleppey backwaters is also a nest for various birds and animals. Every year Alleppey hosts the famous Nehru cup snake boat race which is one of the tradition and prestige of Kerala. 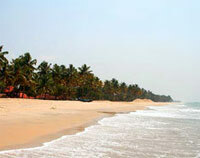 The main attractions of Alappuzha is its sunbathed beaches. The Alapuzha beaches pops up mainly as picnic spot. These stretches of sandy land that opens up into the calm waters of Alleppey is a heritage of 137 years. Vijaya Beach park with many entertainment attractions adds glory to the beach. Lined up with tall coconut trees, as if standing with pride the backwaters of Alleppey gives you tranquility all through.Bathed by the famous Arabian sea and interlocked by many lagoons and water bodies is also a famous marketplace. Cruising in the backwaters deserves a special mention here. Vacationers across the world come here for the love of cruising in these backwaters. 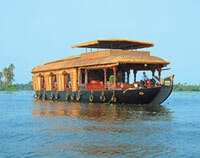 Alapuzha tourism is incomplete with the houseboat packages. To stay in the houseboats and to take tour on the rhythmic waters is a refreshing experience. Hush yourself with the one night journey in theses houseboats and see the village dwellers making long ropes out of the coconut fibres. 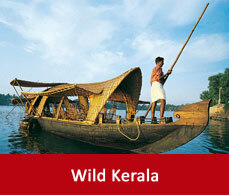 Among the various Alleppey sightseeings the ones which deserves mentions are the temples of Alleppey. 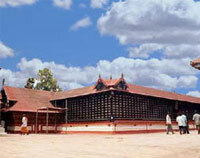 The famous Sri Krishna temple at Ambalapuzha is carved with the Keralian architecture. 3kms away from Ambalapuzha there is the Karumadikuttand statue which is a black granite statue of Buddha. The temple which is said to have miraculous power and a worshipping place of the deity Rajrajeswari is the renowned Chettikulangara Bhagavathy temple.